While getting a new puppy is a very exciting time it is also a critical time during which much of the puppy’s behaviour as an adult is shaped. Handling one’s puppy right, right from the start, can avoid a number of behaviour problems in the future and assist the puppy in maximizing his potential as a calm, confident and simply fabulous canine companion. This article provides guidelines for the typical “problem” areas and hopefully it will assist new puppy owners in developing the type of behaviour they want in their pup. It is worth mentioning that having a puppy is hard work and does require commitment and effort – but this initial investment in time will pay huge dividends in the years to come. These classes are essential to a puppy’s future mental well-being and play a critical role in maximizing a pup’s social manners. Classes are becoming more and more popular and are offered in major centres and most outlying areas as well. Take a look at the end of this article for a listing of certified classes close to you. 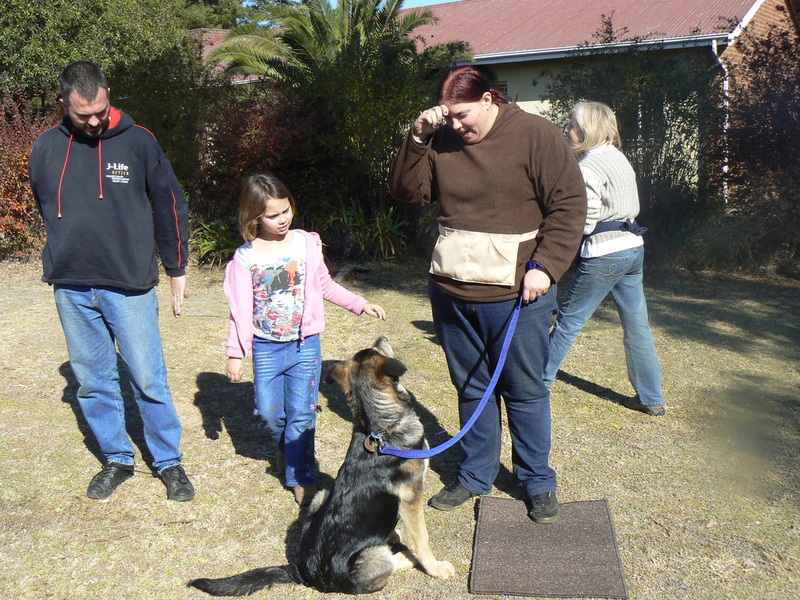 Puppy classes are the most important foundation for a well-behaved dog and due to the main socialisation period having a limit of approximately four months it is not a period that can be recreated later in the dog’s life. 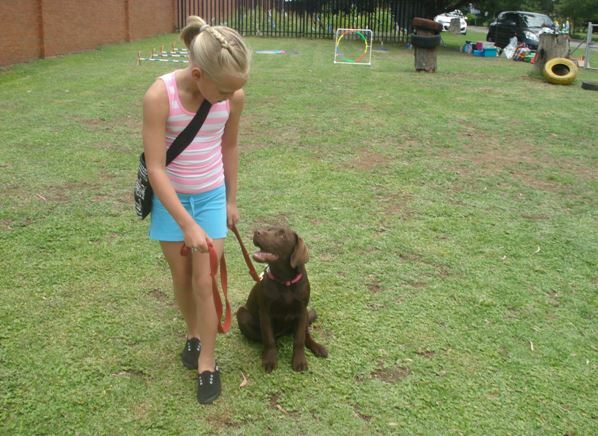 Attending good puppy classes (which are normally about eight lessons) will be a decision that can never be regretted. This is the biggest problem with puppies and the reason is quite simple. Owners actually teach their puppies to pull! 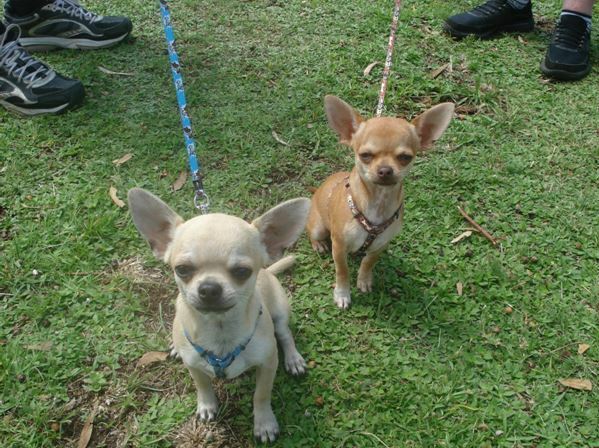 The scenario is quite simple… The pup pulls on the lead and the owner moves in the direction that the pup is pulling. Hey presto! Pup has been taught that in order to move forward he must pull. The pulling is repeated and the pup is rewarded for pulling by going forward – the problem is reinforced and it can be very difficult to “untrain” this. The easiest way to solve this problem and develop a lifelong habit of your pup keeping a loose lead is to change this scenario to something that is mutually acceptable. The owner should not move forward when the pup pulls. Forward movement should only occur when the lead is loose. We call this the “Red Light Green Light” system. Simply put whenever the lead goes tight the handler stops. Without any encouragement or enticement the handler waits for the puppy to loosen the lead. The pup will try various options and as soon as the lead is loose the handler moves forward. This forward movement is the reward for the pup. Sounds too good to be true? There is a teeny catch. If the pup is allowed to take even one step forward with a tight lead this behaviour is intermittently reinforced and it will get even worse! So, pup is never ever ever allowed to go forward if the lead is tight. This is all well and fine, but sometimes you need to get from A to B and you can’t take 30 minutes to do so! In these cases the pup can simply be lured by placing a treat in the left hand and keeping the pup’s nose touching the hand – the lead is then loose. If the pup is never rewarded for pulling he will never pull! Simple as that. A puppy will need to go to the toilet after eating, sleeping, playing and periods of inactivity. By making sure that the puppy is on grass (or where ever you choose) at these times you'll effectively condition the puppy to only "go" on these areas. A reward is not necessary as the action of eliminating is rewarding in itself. Whenever a self-reward is used the behaviour tends to be more resistant to extinction. Toilet training is all about management. If you don't supervise the puppy and he happens to be inside when he needs to toilet, he will toilet on the carpet and you've created a undesired impression in the puppy's mind i.e. “This surface is acceptable for toileting.“ The pup gets relief from the act of toileting and the behaviour is thus rewarded and reinforced. It does require time and effort initially, but instilling good habits for a couple of weeks will result in a lifelong toilet-trained dog. Never rub a puppy’s nose in his mess or scold him as this just frightens him and will make him determined never to toilet in your presence. This is often the reason that a pup will dart inside and toilet when the owner takes him outside to toilet. Pups learn that the presence of their owner and any toileting results in anger, which is scary for the pup – they are not aware that the location is the deciding factor here. If the pup feels safe to toilet in your presence, toilet training is far easier. Puppies are amoral – they do not intuitively know what is “right” or “wrong”. They also do not assign value to items as people do. In a puppy’s mind a rawhide bone is the same as a remote control or a shoe – they are all chew toys. To teach the pup what is acceptable to chew we again need to establish good habits. Puppies should be given free access to numerous allowable and safe chew toys. Always make sure that the pup has access to an allowable chew toy when he is likely to chew. Obviously the puppy will also chew anything left lying around, so these should be out of reach initially. Should the puppy get hold of a non-allowable object the best way to handle this is to get the puppy to come over to you (preferably with the item still in its mouth), praise the puppy and then swap the item for an allowable chew toy. This may sound nuts - why on earth should the puppy be praised?!? It's quite simple - by conditioning the puppy to bring the item to you, you get the puppy to think: "If I find something unusual and bring it to my owner then I get rewarded". By getting the puppy to bring you the item straight away, you condition a calm "return and reward" response instead of a frantic "run away, hide and chew to death!" response. As with any chew toy please check them regularly to ensure that they are safe for the puppy. Even “indestructible” toys do suffer some wear and tear and regular inspection of chew toys should minimize the risk of accidental and dangerous ingestion. Puppies have needle sharp teeth and while this may seem useless there are two very good reasons for this. Firstly the sharp teeth aid in the weaning of the puppies from their mother. By the mother experiencing painful nips from her growing puppies she becomes more and more reluctant to feed the puppies - this is nature's way of ensuring that the puppies go onto solid food. The second reason is so that puppies can learn to have "soft mouths". This may seem like a contradiction, but when the puppies play with one another and a nip becomes a little strong the other puppy will yelp and the nipping pup will stop. This extremely valuable lesson lets puppies know how hard to "bite" when playing. As humans we have really pathetically soft skin, which can't stand the same nips that puppies give one another and besides we don’t want out dogs to learn to use their teeth on us. If we teach the pup to never even touch our skin with its teeth we can never end up in the situation of a rough game getting out of hand. A simple way to teach this is to hold a sausage in your hand and let the end protrude. Invite the pup to eat the sausage. If your puppy even touches you with his teeth, say "Ouch" in quite a high pitched voice and withdraw from interaction. The puppy should withdraw immediately and look at you with a strange expression. A couple of repetitions will achieve the desired effect as the pup understands that teeth on human skin results in withdrawal of reward. It is imperative that all family members do this. Dogs are not good generalisers and what may apply to one person does not necessarily apply to another person in a dog's mind. Smacking and shouting at a nipping puppy will produce exactly the opposite result as this can be interpreted as a game (particularly in bull breeds) and will encourage this behaviour instead of stopping it. Don’t expect your pup to be gentle during high excitement times - especially when you have just started training him. Be realistic about his capabilities as a young puppy. Any rapid movement around the pup’s head will result in a nip, so ensure that movements are calm and relaxed. It is vitally important to also ensure that children playing with the dog are well aware of the rules and that they help teach the pup to be gentle (and vice versa). A dog is armed with a set of formidable weapons in his mouth – teaching him that his teeth do not come into contact with human flesh is crucial for his and his family’s wellbeing. This is another common problem particularly when resident dogs are involved. It is very bad canine manners for a puppy to push another dog off its food. Unfortunately a lot of dog owners will scold the other dog when it growls or snaps at the puppy attempting to "steal" its food. This gives the puppy the message that it doesn't have to respect the canine law of possession and it also fosters aggression from the other dog. Most adult dogs are fairly good at telling puppies off when they try stealing their food. It may look vicious, but with all the growling and snapping no real harm is done and the puppy learns a valuable lesson – possession is nine tenths of the law. If your adult dog is a real pushover, then physically restrain the puppy from taking the adult's food. After a while the puppy will be conditioned to leaving the other dogs alone when they are still eating. If need be a verbal reprimand backed up with a squirt from a water bottle normally does the trick. Of course the pup is praised and rewarded for backing off. Puppies between the ages of two and four months should be fed four times a day and puppies from four to six months should be fed three times a day. Once the puppy is older than six months they should then be fed twice daily. This regime should be carried on through out the dog's life to reduce the risk of canine bloat and the “charged battery” syndrome. The function of the bark is primarily to alert the rest of the group. So when your puppy barks, investigate. If the reason for barking is insignificant - a bird for example - then simply go back inside and ignore the puppy. If the reason for barking is of significance – then acknowledge this calmly without making a big fuss. With constant attention from you the puppy soon learns to discriminate with his barking. By always ignoring the puppy's barking and never investigating, the puppy will probably grow up into a dog that barks with the same excitement and vigor at a burglar or a Hadeda. Puppies also bark at other dogs to solicit play. This type of barking is very distinct, with the puppy also adopting a play bow, perhaps even jumping and then bowing and it is a short bark often preceded with a soft growl or whimper. When your puppy barks like this is it not to be investigated as it is not an alarm bark. Your puppy's sleeping arrangements on the first night are critical. The puppy must spend the first night in the spot where it will sleep as an adult. By letting the puppy sleep inside for a couple of nights and then putting him outside in the kennel is confusing and unfair. Most people do this as the puppy might cry on the first night and our hearts take over from our heads. By giving in and letting the puppy sleep inside after he has been crying at the back door, the puppy learns that if he cries loud enough he gets what he wants! This is a difficult problem to resolve once it has been learnt. If the dog will sleep inside then this is not a problem, but the key here is consistent management. If your other dogs sleep outside and the puppy gets to sleep inside it may also foster relationship problems. Some resident dogs react to this breach of canine etiquette very severely indeed. Let your puppy sleep with your other dogs on his first night. The puppy will enjoy the company and it will make him feel more secure. If your puppy stills whines and cries to be let inside ignore the behaviour totally. If your puppy is an only dog and therefore can not get reassurance from other dogs, there are a couple of things you can do to make him feel more secure. A warm, clean and dry kennel, crate or bed is a must and some puppies benefit from a hot water bottle (securely wrapped in a towel). In America a product called MotherLove is used for this purpose. It is a bean bag encased in a furry cover. The bean bag is put into the microwave oven and heated up. The beans apparently retain heat for quite a while and the furry cover is a wonderful snuggle for the puppy. Of course safety is a priority and the pup should not be left unattended with any potentially harmful object. If you have decided that your puppy will be a house dog then of course it is fine for the dog to sleep inside from day one. However, don't make the mistake of letting your cute puppy sleep in the bed with you unless you are prepared to deal with this when the pup is mature. Letting dogs sleep in your bed or go onto furniture is not a problem as such. Not being able to get the dog off without a big deal is however a problem. If you are unsure about your ability to do this when your dog is mature then rather implement a “no bed/furniture” rule with your pup and thus avoid this problem all together. Over the years I have seen many puppy owners very confused at times with a question that always starts with: "What do I do when my puppy ….?". Unfortunately puppies are like children. They do not come with an instruction manual! Yes, owners can attend classes, read books, go to seminars etc. This undoubtedly puts them in a better situation than before, but it may not cover every single aspect of their particular pup's behaviour. It is impossible to give owners exact instructions for every single situation. The best way to address the seemingly daunting process of raising a pup properly is to stick to a couple of golden rules. I have raised many puppies of various breeds over the years and have found that these rules can be applied to virtually every situation. Puppies need to know their boundaries in a way that they understand. Anything else is cruel and only confuses the pup thus damaging the relationship between dog and owner. Even though we are not dogs, and we cannot possibly hope to replicate the communication skills of dogs, we can use some general dog principles when it comes to administering discipline to our pups. q Swift consequence - There can be no delay as the pup will not understand what is happening if the consequence was too late. Even a 2 second delay is too late. q Impact - Canine discipline does not go unnoticed. q No Nagging - Dogs will never carry on and on with discipline. They apply discipline once and then move on. Nagging is not a canine "skill". Dogs will also not attempt to discipline one another with a "If you do that one more time…“ strategy. The actual discipline never needs to be heavy-handed. A stern verbal reprimand and immediate ceasing of interaction is often more than enough to get one’s point across. As soon as a puppy acknowledges the discipline (normally by pausing or showing submissive behaviour such as squirming) the point has been made and it is time to move on. The easiest question to ask is "How would a dog handle this?" Would a dog discipline a pup for digging a hole? Would a dog discipline a pup for growling at him? The answers are very obvious and they make a lot of sense to puppies. Being disciplined for digging a hole makes pup think you are off your rocker! Rather remove temptation or give an acceptable alternative like a digpit. This is a vital area often overlooked. Don't lie to your pup by being inconsistent. He gets confused and eventually gives up on you because you do not set a good example. Would you enjoy working for a boss who praises you for making coffee on a Monday and then shouts at you for the same thing on Thursday? Every minute you spend with your dog you are training him. When he is being calm and well behaved let him know you like it! Don't miss golden opportunities for reward because you don't think it counts as it didn't happen during a formal training session. Training does not mean getting into the car once a week and coming down to classes. Training happens at home and is going on every minute of the day. If your pup has a behaviour that you don't like, then actively work to get him to do something you do like. Most pups have a mad hour or so (often around dusk). My puppy thought this was a great time to bark and generally behave like a monkey. I clearly did not like this behaviour, so I have provided her with an extra delicious chew toy during this time. The sounds of silence have never been so delightful! In essence if you're not working to prevent or address unwanted behaviour in your pup then you may as well be encouraging it. Make co-operation rewarding and fun. Boring owners have bored dogs, which quickly become fascinated with everything except their owner. Don't give your pup half a chance to become bored with you. Let your puppy know he is safe with you as his guardian. Don't put him into a situation he can't cope with and don't expect him to know what to do. You are his leader and it's your job to show him the ropes.